It looks like winter has finally arrived, the last few days have been freezing. Hope you're all managing to keep warm. As usual, it's been a busy month. Thank you to everyone who visited the Imagination Crafts stand at the NEC, two weeks ago. It was a marathon four days of demoing, but it was lovely to speak with lots of crafter's & see them leave inspired & buzzing with creativity. There will be lots of goodies to eat, including a full buffet, we'll play some party games & generally have fun. If you've attended the classes during the year, make sure you have kept your raffle tickets, as the winner of the Christmas raffle will be chosen. As usual, the classes will be held in Fant Hall, Barming, Maidstone, ME16 8NN, on Friday, December 4. The afternoon class, 2.30-5.30pm, is fully booked, but there are still places available in the evening class; 6.30-9.30pm. The cost is £18, which covers the cost of your project supplies & food, a deposit of £6 will secure your place. 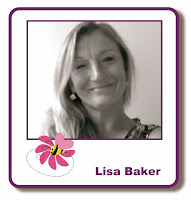 You can contact me by email; lisabaker1@btinternet.com , or by 'phone; 01622 675078, or message the Lisa B Designs Facebook page. If you are unable to attend, three days notice of cancellation is required. This gives me time to fill your place & your deposit will be moved to the next available class. There will be a smaller shop than usual at the classes. I will be bringing mainly Christmas items & a few other things. If there is anything you require, please let me know before 8pm on Thursday, December 4 & I will bring it along the next day. All of the Christmas items can be found in the Christmas section on the website. Remember to keep an eye on the What's New section too. 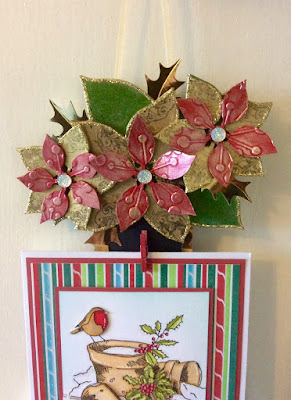 The current blog challenge; 'Christmas with Starlights'; continues on the blog until midnight on Saturday, December 6. We've had beautiful entries so far & there's still plenty of time for more. 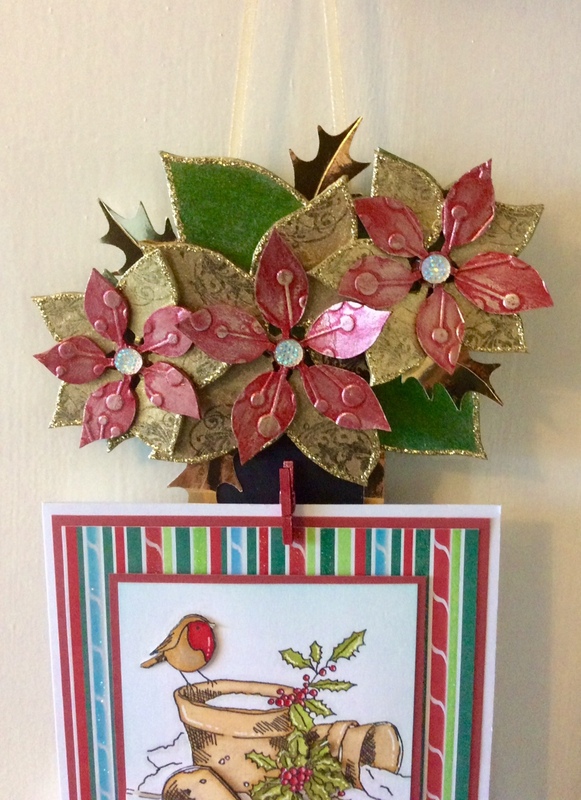 The randomly chosen winner will receive a £20 e-voucher to spend at Lisa B Designs. All our projects can also be found on the Lisa B Designs Design Team Pinterest board. It just remains for me to wish you all a very Happy Christmas. Thank you for all your support throughout 2015 & I hope the New Year is a peaceful & prosperous one for all of us. The first class of the new year will be on Friday, February 5th. Details to be announced later. Lisa B & the team - without whom, etc., etc.